It's new, it's hip. 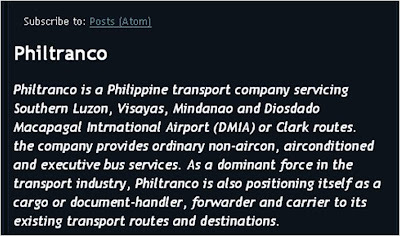 The new Philtranco website seems to be targeting the young and not-so young Pinoy backpackers. The website even comes with a Slide application that plays "This Kiss". It also contains travel information on several destinations around the Philippines that are plied by the Philtranco buses.